significantly affect their health in the long run. 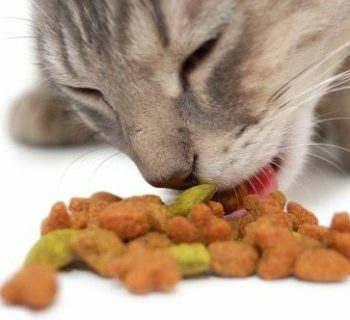 the five best wet cat food choices. 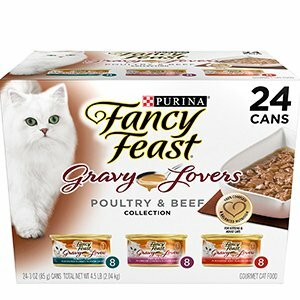 Purina’s Fancy Feast has long been known as one of the best options on the market when it comes to wet cat food, and that is still the case with this variety pack. Coming with flavors that include turkey, chicken, and beef, this variety pack ensures that your cat won't grow tired of the same meal over and over again. This cat food is slow-cooked so that it can be more tender than the competition, making it easier for your cat to eat. Smaller pieces of food also contribute to this. As you would expect from gourmet cat food, this product comes with all of the nutrients that your cat will need to remain healthy. making this one of the tastiest cat foods around. comes to value for money. 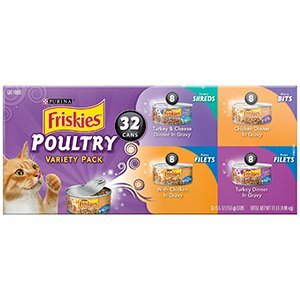 Purina’s Friskies line of wet cat food is another excellent choice from the maker, and this variety pack of 32 cans is surprisingly affordable for the amount of cat food that you get. If you’re looking for value for money, you won’t find many products that can compare to this variety pack of cat food. With a choice of four flavors, you can be sure that your cat won’t grow tired of this food anytime soon. Additionally, the small slices of meat in these cans of food are easier to eat for smaller felines. Whether your cat is a kitten or a full-grown adult, this food will be perfect for it. deliveries due to coming with 32 5.5-ounce cans. Up next, we have an offering from Meow Mix, which eschews cans for easily-opened cups of cat food that can also be resealed. 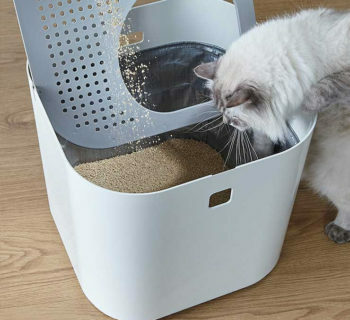 This allows you to feed smaller cats without having to cover the container with plastic wrap, as that can be wasteful, and it may not result in a tight enough seal. 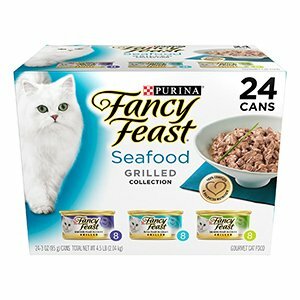 The three flavors that come in this variety pack are all seafood-themed, so the vast majority of cats will be sure to love this food. 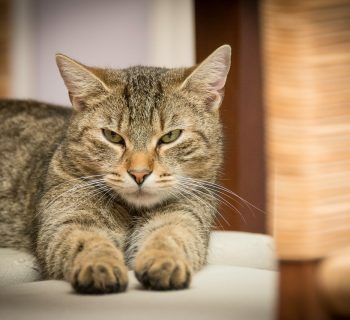 The nutrition that this food provides is ideal for both adult cats and kittens, making these meals much more versatile than more specialized cat food types. some adjustment. Other than that, this is an excellent choice of wet cat food. 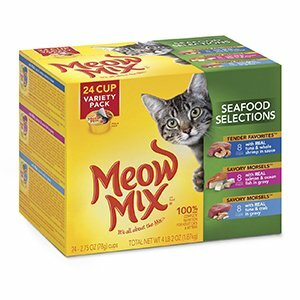 This is another pack that is primarily composed of different types of seafood, making for a set of meals that will be attractive to most cats. All three flavors of this cat food brand feature savory gravy, which helps improve the taste of the meals, helping cats grow accustomed to it with ease. 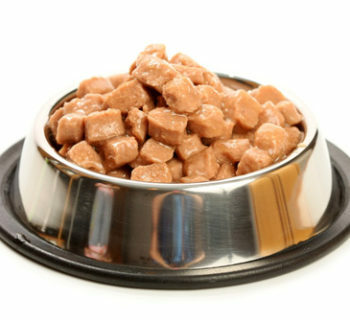 Other than the flavor, you'll find that this type of cat food has the advantage of being healthier for your cat. 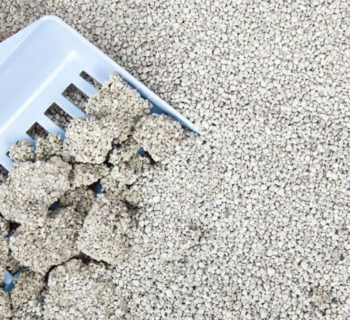 Keep in mind that this food is specialized for adult cats, and it will provide them with all of the vitamins they need to grow healthily. 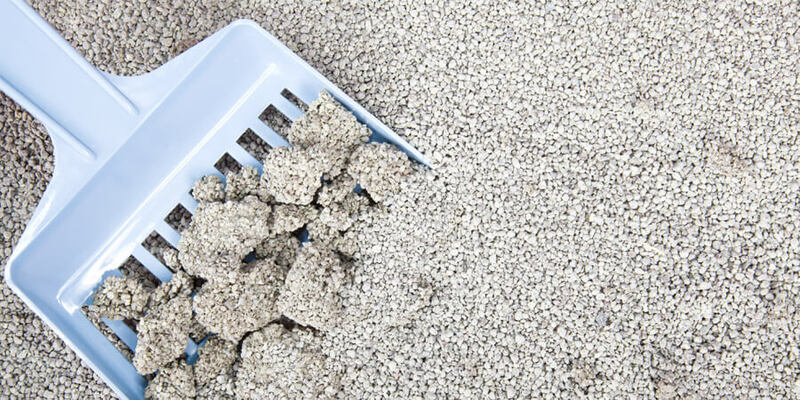 Overall, this kind of cat food is ideal for older felines. your cat the whole can, but this depends on the size of your pet, as you would expect. 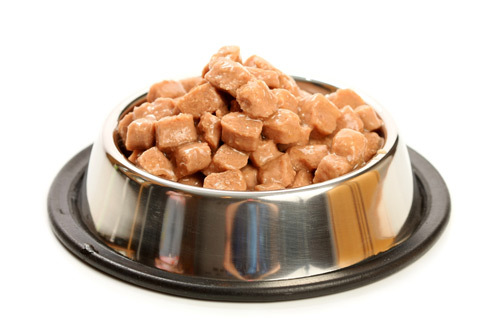 One of the only downsides to this cat food is that it is less versatile than other varieties. combination of great flavor and excellent value for money. 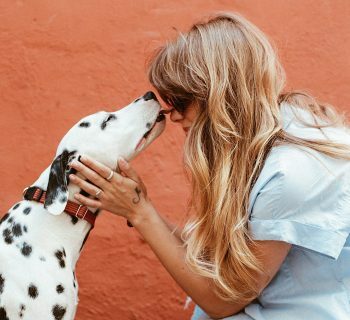 Finally, we reach the final option on this list, but it is no worse than any of the other choices, especially if you want to ensure that your cat remains healthy for a long time to come. For example, this formula is meant to improve your cat’s immune system as well as its urinary tract health. 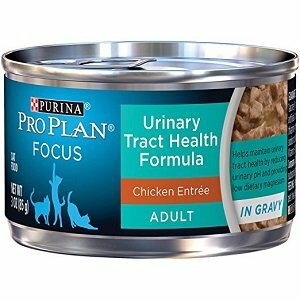 The chicken entree in gravy flavor also makes this food tasty, ensuring that cats will quickly grow accustomed to it, even if they are pickier eaters. Overall, this cat food is ideal for adults cat who may have a compromised immune system, or simply for owners who want to keep their cat as healthy as possible. found that this is your cat’s favorite meal, you can be sure that they’ll eat it. Finding the right cat food can be a challenge because you don’t know what it tastes like, but we hope that our reviews have simplified things for you. 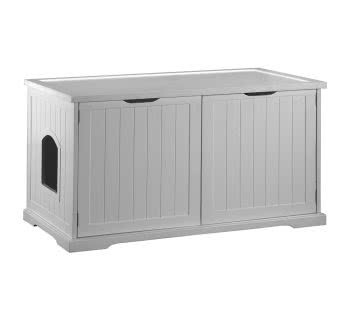 Food and water is a necessity, and you want to be sure that your feline has both in sufficient supply. 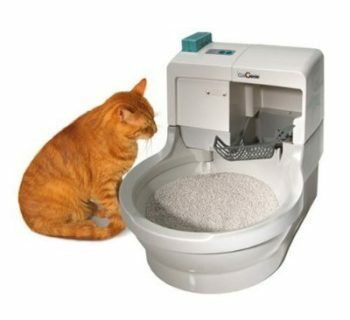 While many people think that ordering cat food online cat get inconvenient, as long as you stick to your ordering schedule, there shouldn't be any trouble.